jPOS is a Java-based implementation of the international ISO-8583 standard. jPOS is used in highly demanding production environments in over 70 countries processing literally thousands of transactions every single second, 24x7x365. jPOS provides basic components to replicate the functionality found in any of the commercial products as BASE/24, OPEN/2, Postilion, etc. There are a lot of success cases worldwide based on jPOS. Our team has successfully participated in the definition and the development of a significant number of banking projects. In these architectures, jPOS has been used successfully as an acquirer as well as an authorizer. 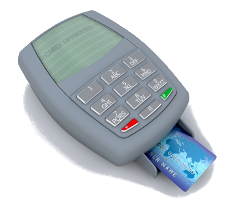 Definition, development and implementation of a financial-like switch for the authorization of healthcare transactions generated from an EFTPOS. Active participation in the testing phase of the mobile wallet application deployed by Citibank Mexico (Banamex), Telcel, Inbursa, and Gemalto.